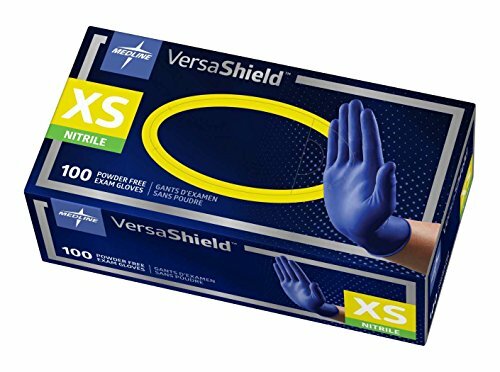 When your job exposes you to potentially harmful bacteria, blood-borne pathogens and chemicals, you need a protective glove you can trust. Medline VersaShield answers the call. This extra-thick nitrile exam glove resists punctures and tears to provide outstanding barrier protection. *Gloves are chemo-tested and meet the standard ASTM D6978-05 for providing protection against select chemotherapy drugs. Do not use with Carmustine and Thiotepa.